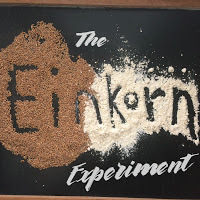 The months are flying by so quickly and it’s already time for another Einkorn Experiment post. 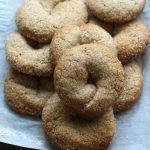 I couldn’t wait to try Italian Wine Cookies (Ciambelline al Vino Rosso), or some call them biscuits, with einkorn flour. You could see where I explain a little more in depth about einkorn flour here when Heather and I first started the Einkorn Experiment. If you have an Italian specialty store near you, you may be able to sometimes find bags of these very addictive Italian Red Wine Cookies. The ones I have found even while in Italy are thinner than what I make. There really isn’t a need to buy them when they are so easy to make! What you need to do is enjoy a glass of wine with them while they are done. 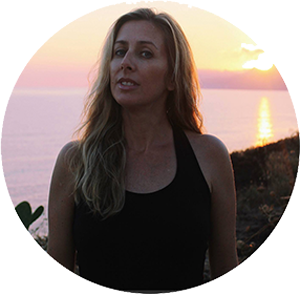 If prefer to skip the wine, enjoy them with a friend and a hot cup of coffee and catch up on what is happening in your lives.They are perfect not just for an afternoon break, they are even lovely at breakfast (the wine flavor is so subtle)or after dinner. I have seen them in Tuscany and in Rome (Lazio). 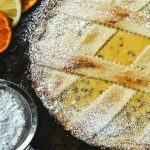 There are Roman recipes that have fennel seeds. I did have fennel seeds on hand, but decided to not use them and focus more on the wine flavor. 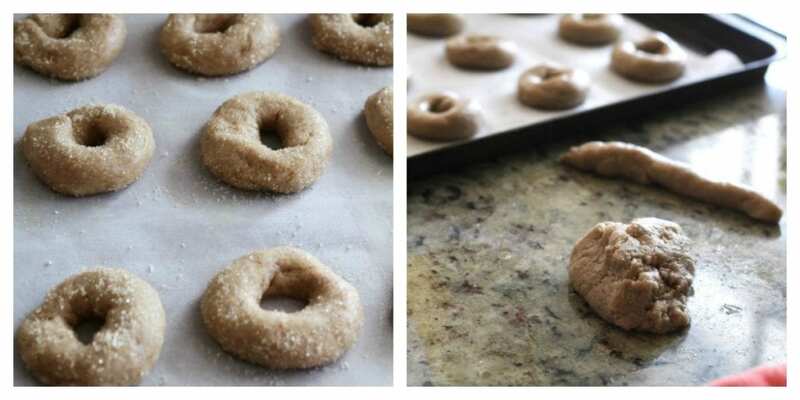 The dough comes together very quickly and for this batch of wine cookies I used einkorn flour and brown rice flour. You have to let the dough rest for about 20 minutes and the consistency of the dough is a bit softer than a pasta frolla dough. It is very easy to form the ring shapes. Take out small sections of the dough a little bit of the time and roll them into cylinders about 5 inches long. Roll each cylinder in sugar and then shape into a ring. They really are that simple to make!!! Did I also tell you that these amazing cookies are vegan!?! There are no eggs and there is no dairy at all in the recipe. These are unusual cookies that are lovely with a subtle flavor of red wine (I used Chianti). They are not that sweet and crispy. 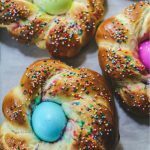 They’re made without eggs or butter (a great vegan sweet treat!! )and are perfect to enjoy with hot cup of coffee or tea for an afternoon bread. 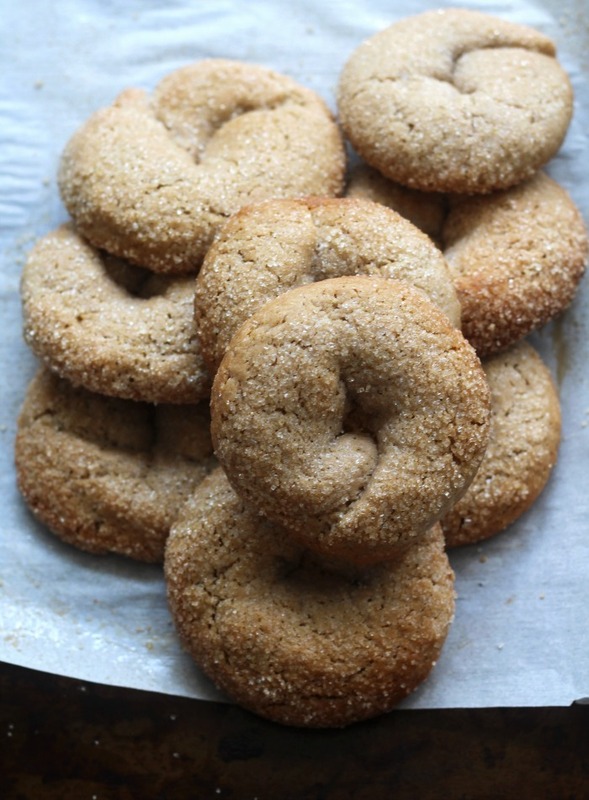 The Ciambelline means small rings, or small ring cookies. You could make the cookies as small or as big as you prefer them. I originally was making the rings a bit smaller (about 3 inch long cylinders), but I had Teresa (my mother-in-law)hovering behind me. She asked me why I was making them so small and said usually they are made bigger. I gathered the rings I made and bunched the dough back together and broke off bigger pieces to make the bigger rings she liked. 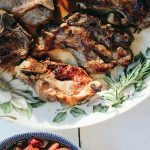 You have to check out Heather’s Lamb Shanks with Einkorn and Potatoes. It looks divine! some notes on this recipe: I used 1/2 cup of Chianti, feel free to use whatever sort of red wine you prefer. If you’re afraid of the color from the wine, you could stick with white wine. 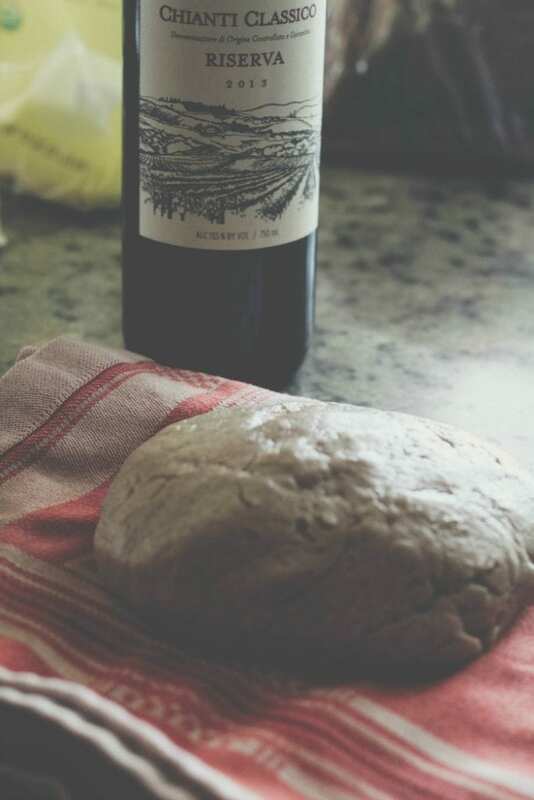 I loved the rich lavender hue the wine gave the dough. The color changes while it bakes and also since I used brown rice flour with the einkorn flour, my dough was a bit more on the brown side when it finished baking. 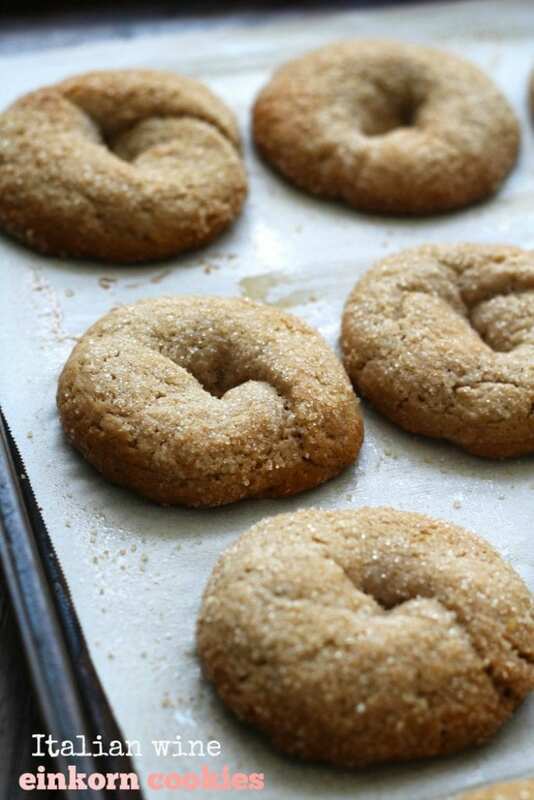 If you don’t have brown rice flour, you could use whole wheat. I did not use olive oil and chose to use vegetable oil. If you want to be more traditional, use a nice extra-virgin olive oil. As for the flavor, my husband said he could taste the distinctive red wine taste as soon as he took a bite. My father-in-law said he couldn’t even taste the wine. I could taste a very subtle red wine flavor. I suppose everyone will have their own opinion on the wine flavor and if they like it or not. 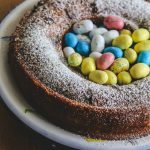 It’s not something I shared with the kids, even though some of the alcohol probably evaporates in baking, it’s just not something I know they would be into. 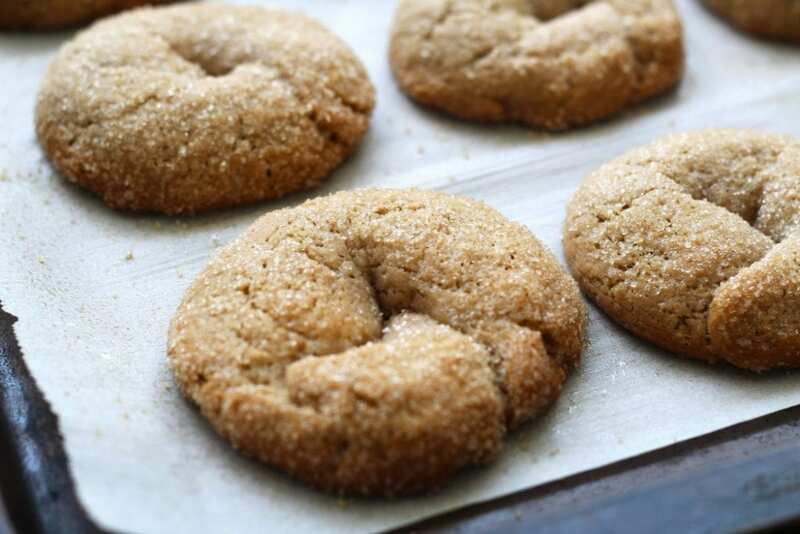 It’s more of an adult cookie and you should make a batch and enjoy it with your friends and a nice bottle of Chianti! These red wine cookies are crisp and not too sweet with a subtle flavor of Chianti wine. They are perfect for a coffee or tea break. In a large bowl, whisk together the flours, baking powder and salt; set aside. In a small bowl, whisk together the sugar, wine and oil. Combine the wine mixture to the flour mixture. Stir together until the dough comes together. Start out with 2 cups of the combined flour and add more flour a tablespoon at a time (I used more einkorn flour)until you get a consistency that could be worked with. The dough should be a little softer than a pasta frolla dough. Wrap the dough in plastic wrap and let it rest in the refrigerator for about 20 minutes. While the dough is resting, preheat the oven to 350 F and line your baking sheets with parchment paper. I lined two as you want to leave some space between the cookies as they spread while they bake. Take out the dough from the refrigerator and put on a clean counter. Start to take out portions of the dough and roll them into cylinders about 5 inches long. Roll each cylinder in some sugar and form into a ring by bringing the ends together and pinching them softly. Place each ring on the tray. Bake for about 20 minutes or until medium-dark golden. Oh, these sound so good – perfect for nibbling. I made red wine cookies once…years ago…but a different kind (yours so MILES better). I'm going to try these one of these days! I'm intrigued by the texture that both einkorn and brown rice flours lends them. Oh wow! These cookies sounds so amazing! Can't wait to try them! You combined two of my favorite things… wine and cookies! I'm totally in. Wow, thanks for the introduction. I'm not familiar with this cookie at all but I love the sound of it. These look amazing. I've never worked with einkorn flour but I'm definitely intrigued. These cookies seem so appetizing, Lora! I will definitely try them! Perfetto ! Grazie milla !